There tends to be a lot of anxiety during the holidays when it comes to getting the right gifts for your loved ones. There’s the stresses of finding a parking spot and waiting in line, as well as the torture you put yourself through with tracking your packages, but the important thing is to get your family gifts that they’ll love. But instead of getting something right off of the assembly line, why not get them something special that has character and was made by a talented and crafty artist? You can easily find handmade gifts from Newport Beach, CA, your family will love for the holidays. Here’s a list to help you get started! If you’re looking to give your loved ones something special and handcrafted this year, why not make it yourself? Costa Mesa Ceramics holds lessons to teach students how to work with clay and pottery materials. 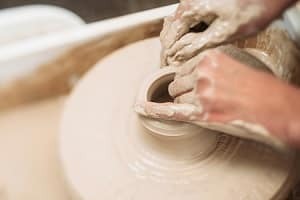 Using your hands and a pottery wheel, you’ll be able to make some interesting gifts for your family. They even have a selection of paint so you can customize your hand-made pottery. Costa Mesa Ceramics even holds open studio hours, so if you’ve learned enough, you can drop by and become your own assembly line for the holidays! A handmade gift that keeps on giving is a piece of art. If you’ve got a loved one who appreciates visual art, you may want to pick up an original or a print from Deborah Harold. 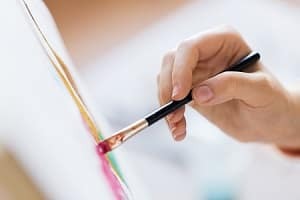 This local artist crafts beautiful canvases featuring lush landscapes, seascapes, still life, and even abstract work. She’s most notably an abstract expressionist and has been continuously painting for more than two decades. You can easily browse her collection of work and find a piece that will really meld with your loved one, and they’ll be able to appreciate it every day. If you’ve got a family member who is particularly interested in aviation and artwork, you may want to consider getting them a print of Virginia Bader’s work. She specializes in painting images of WW2 bombers and fighter planes traveling over a scenic landscape. The attention to detail that she applies to each piece of artwork is astounding. Her work merely pops off of the canvas, and it’s the perfect gift for any loved one with a military or aviation background, or simply an admirer of the historical time period. Now that you’re familiar with some of these handmade gifts from the Newport Beach area, you’ll be ready to give your loved ones a special gift for the holidays this year!